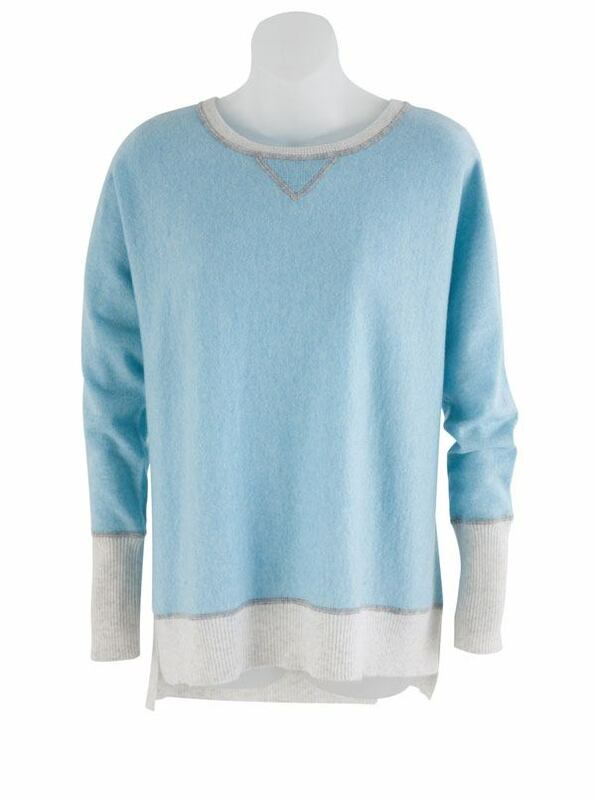 Cashmere Color Block Sweatshirt is contrast cute, with fresh blue accented with ivory. Ribbed cuff s and high-low vented bottom. 100% lightweight cashmere. Imported.